The main reason I crammed my trip to Utah-Malheur-Tule and my trips to Big Beef Creek so close together was that I knew Gavin and Lael were coming to live with us for two weeks while their parents were in Mexico so it would be nearly impossible to squeeze in any day-long birding adventures. Having to feed the chickens twice a day, walk two dogs, and feed two growing kids didn’t leave much time for tripping, though we did manage to get in one day trip to the beach while they were with us. Local birding is still slow and since I’m not interested in getting shots of people’s meals or pictures of shops or galleries, there wasn’t really too much to photograph, though habit required me to take my camera and birding lens on our beach walk. 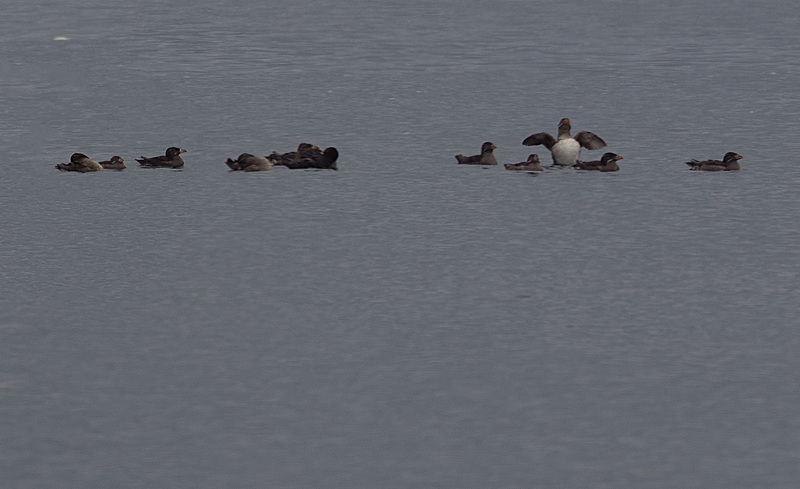 and I was surprised to see these three female Harlequin ducks, the first I’ve ever seen in summer. the largest flock I’d ever seen. 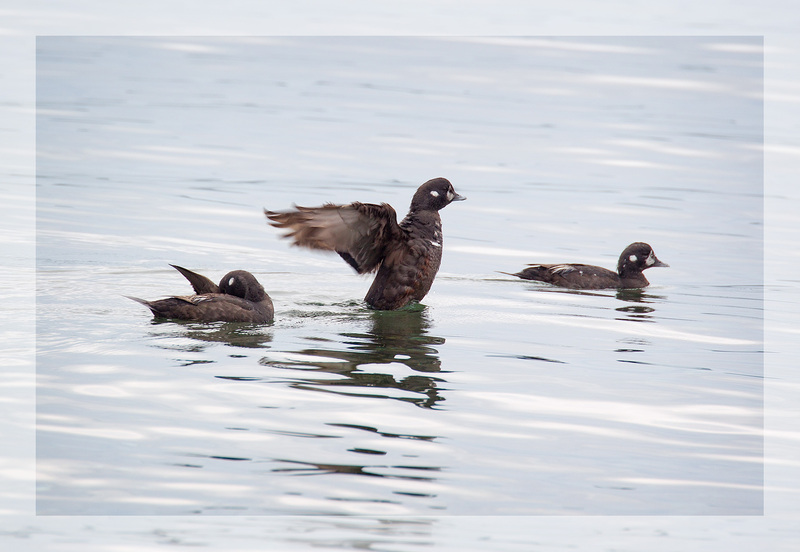 A little online research revealed that summer is the main time to see this species in the Puget Sound, that they breed here, not further north like most birds we see here. 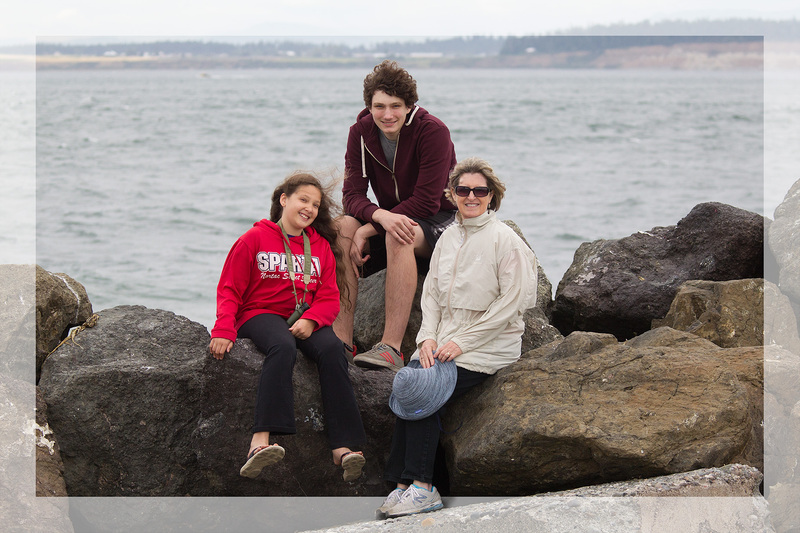 The kids’ two-week stay made me realize just how deep of a rut I have built with my routines. I didn’t get to the gym once in nearly three weeks, although I still managed to get in my exercise with early morning walks along the beach with Lael and daily walks into Point Defiance Park with the two dogs. I’m definitely hooked on exercise, though I don’t have to go to the gym to get it. Playing Dragon Age with Gavin and Wi racing games with Lael helped speed the time when I wasn’t cooking, or grocery shopping. The two weeks raced by quickly, and I even had a few days off and a chance to get to Theler Wetlands before Leslie’s friend Mary arrived from Boston. Nice to read your blog again. 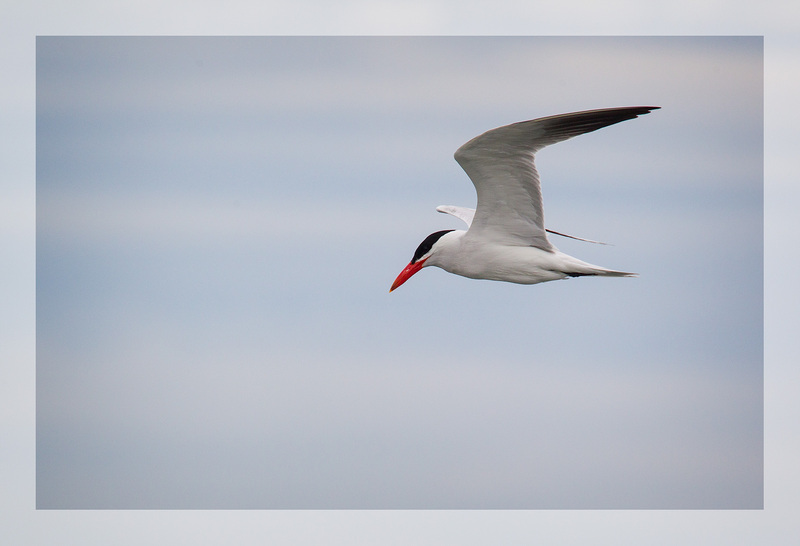 Love the photographs, especially that elegant tern. Oh yes – routine. I am the same. I think a lifetime of having to work to a routine (teaching in my case) and it is impossible to be otherwise in retirement. I feel much more comfortable with routine. Sadly I don’t get much exercise as arthritis makes walking rather difficult, but I do try to get one or two short walks in daily – nothing like your Hadrian’s Wall trip when you met Dominic and Robert. But I don’t sit about. Shall put you on my side bar again (new computer means I missed a lot of familiar blogs and am coming across them one by one – found this on Dominic’s blog today. Nice to see you here again, Pat. I appreciated your telling friends about my bird photographs. I wish I had met Dominic and Robert personally, but I’ve never had the pleasure of doing so. Must have been another blogger that can make that claim. I’ve been having deep rut wake up calls, too! One can get deeply entrenched in one’s comfort zone as the years go by – and I’m only in my fifties! Latest was -I’m embarrassed to say- triggered when I had to use the bus instead of driving. The timetables, the standing around, the getting the right stop… I feel better for it, though. A lovely visit with the kids, and a lovely post. It gives me hope and makes me want to step out of my rut.